Home / News / "Health protection in the Republic of Moldova”, edition 2013 was edited and posted on the web page. 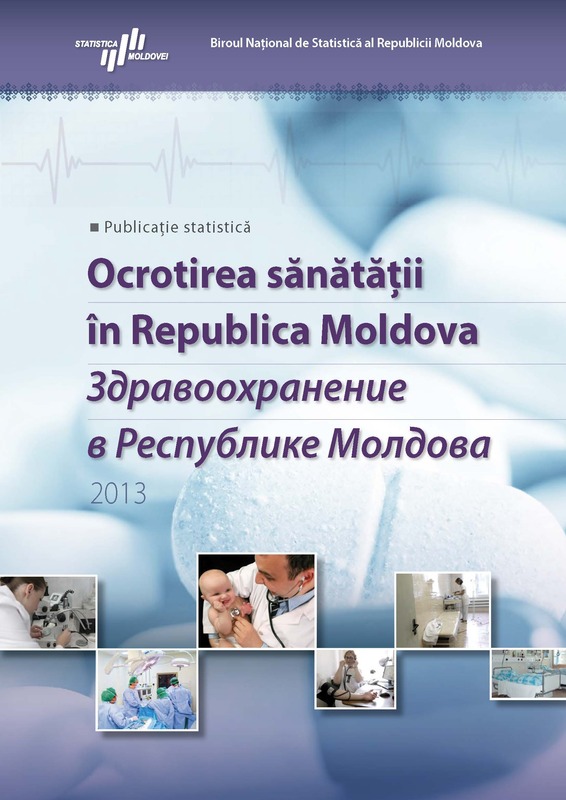 "Health protection in the Republic of Moldova”, edition 2013 was edited and posted on the web page. National Bureau of Statistics informs that the publication “Health protection in the Republic of Moldova”, edition 2013 was edited and posted on the web page. The statistical publication “Health protection in the Republic of Moldova” is the fourth edition published by the National Bureau of Statistics, with the active participation of the National Centre for Management in Health. Information from National Centre of Public Health, National Council for Disability Determination and Labor capability , Medicines and Medical Devices Agency ant others were used in the publication. The publication contains information on medical and demographical aspects of population’s health, health resources, and of separate socio-demographic groups, sanatorium treatment, leisure, as well as data on living conditions, labour market situation in this field, financing and investments in health protection, environment situation etc. Current edition was completed with new tables, including a new chapter with the main indicators in territorial aspect. Data are presented for 2005-2012 period without data for the left side of the river Nistru and mun. Bender. The publication was published in the framework of the UN Joint Project on Strengthening the National Statistical System, UN Women and with the financial assistance of the Government of Sweden.